Over the last few months, our team has consulted with different organizations of various sizes. In Arvada, Colorado, Patrick launched the City’s inaugural organization-wide Succession Planning Program and he’ll return in September for additional work. Patrick designed and facilitated an Advance meeting with members of the governing body and City executive team resulting in a fortified approach to building a stronger community in Bainbridge Island, Washington. Patrick and his spouse and business partner, Kristin, co-delivered a series of thirty-six training workshops for the State of Arizona Department of Administration. Employees from a number of State agencies attended the training workshops. Kristin presented hers on Project Management and Patrick’s was on his RAPID Innovation. In the City of Mountlake Terrace, Washington, Patrick designed and facilitated an Advance meeting for the City Manager and her staff. In late August, he’ll return to deliver training for all City employees. Patrick designed and facilitated an Advance meeting for the Mayor, City Council, City Manager and his staff in the City of Seguin, Texas. Patrick delivered training workshops for the City of Mesa (AZ), McKinney (TX) and Scottsdale (AZ). The City of Chandler, Arizona retained Patrick to help design and implement its inaugural Succession Planning Program. The Pilot Leadership Academy was finalized and will begin this fall with Patrick administering a 360-degree feedback process for the program’s participants and then designing and delivering a series of leadership training workshops. The Housing Authority of the City of Alameda, California retained Patrick to conduct its Search Process for their next Executive Director. The selection process should be completed by mid-August. Patrick finished up the foundational steps – Identifying Critical Positions and Creating Competencies – for the inaugural Succession Planning Program for the City of Fremont, California. Placer County California retained the Mejorando Group to complete an organizational assessment of their Personnel Department. Recommendations were included in a final report presented in mid-July. Northern Arizona University in Flagstaff retained the Mejorando Group to complete an organizational assessment of its Academic Transitions Program. Recommendations were included in a final report presented in late June. In Austin on April 30th, Patrick presented “Revolutionizing Government in the 21st Century” at the Texas Association of Governmental Information Technology Managers Education Conference. On May 20th in Cooperstown, New York, Patrick presented his workshop “From Typewriters to iPads: Communication Across Generations” at the New York State City/County Management Association Conference. The Wisconsin City/County Management Association welcomed Patrick as their Keynote Speaker presenting “RAPID Innovation” at their Summer Conference. Patrick presented “Your Leadership Playbook” and “The Future of Government: Me and My Career” at the California Special Districts Association General Manager Leadership Summit in Lake Tahoe, California on June 24. 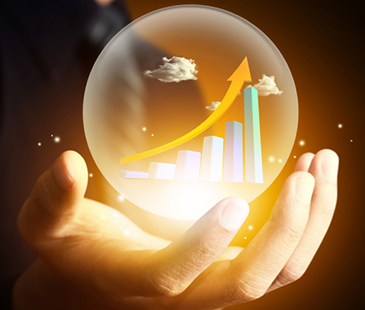 Gaze into your crystal ball and what do you see as the future role of government? What impact will changes have on your career? What’s your Personal Brand? These are just a few of the questions being confronted today as the public sector experiences unprecedented transformation. Government is the protagonist for a better quality of life for citizens, but the issue remains, to what degree it will execute that role. Read to learn the 8 methods of a blueprint for a recession-proof future. The convergence of the forces for change, present the public sector professional another in a series of opportunities to redefine him/herself. The question is what are the capabilities and competencies that comprise this redefinition? Here is a recommended blueprint for designing and building a recession-proof future. Brand is nothing more, nothing less than your reputation. A personal brand must highlight your special strengths, yet at the same time it also must not be too self-promotional, an all-too-common error. Be vigilant in strengthening your Personal Brand and lubricate your mind by participating in focused development and learning activities that are designed to enhance your skills and capabilities. Besides attending conferences and webinars, consider specific development tactics like a stretch assignment or engaging peers in a book club. Assemble a group of your most trusted advisors to be members of your Career Board of Directors. The people you choose should help you raise your level of self-awareness, so their candor should be appreciated. Navigating one’s career can be a series of non-linear steps but the key is that an upward trajectory is always achieved. Operate from the maxim “Change is a process, not an Event,” and become fluent in understanding the finer points of designing and implementing successful change initiatives. Your fluency in change will enable you to navigate the uneven terrain associated with building, and sustaining, a high performing organization. The critical skill necessary for leading today’s collaborative teams is that of influencing others or political acumen. These skills include understanding political power in an organization, being able to frame and sell ideas, influence others, negotiate, persuade, build networks, initiate and manage change and effectively manage organizational crises. Public sector professionals must be on the forefront as the igniters for actively pursuing innovation helping transition from best practices onto “next practices.” Innovators recognize that “doing things different and doing different things” is a prerequisite for innovating and creating a climate that can permeate the traditional risk-averse culture that limits the progressive thinking desperately needed today. Like successful farmers, successful leaders are disciplined in their approach to their role. Create an Effective Leadership Profile comprised of the specific actions and behaviors you have observed of the most successful leaders you have observed, your own insights, and information you have read or heard from speakers. Now, use this as a framework to guide your growth and development. Increase your body of knowledge about those areas becoming increasingly important to public sector organizations – financial analytics (translate the numbers into a compelling story), sustainability measures (and not just for the green movement), social marketing (everything social media related to building more engaged citizenry), and strategic planning (as a management tool, not simply a forecasting device). Recognize the ability to attract, retain and develop top performers is mission-critical to your organization’s success. Succession Planning, Learning and Development, and Knowledge Transfer are areas of expertise you must become familiar with in your role as a Talent Manager. The future has arrived and with it, an emerging role for you. Increased scrutiny, higher expectations and a shifting political landscape add up to a valuable opportunity for you to activate change, drive innovation and successfully lead your career towards a better future. Growth and comfort don’t co-exist. Are you ready? Visit our website to read a number of articles Patrick has authored about a variety of topics related to innovation, leadership and talent management to gain more ideas for implementing your blueprint.